Inspired by the places I love to be and the common thread that links them – the sea. 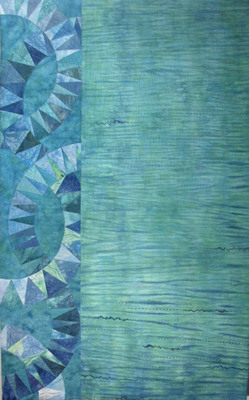 The pieced panel reflects patterns found in Gaudi’s fantastical Barcelona architecture, whilst the other panel represents the sea. 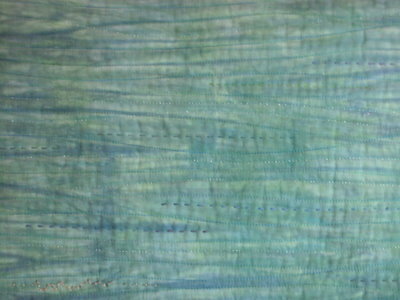 Materials: Hand dyed cotton fabric and commercial cottons batiks and silks; hand dyed and commercial threads. 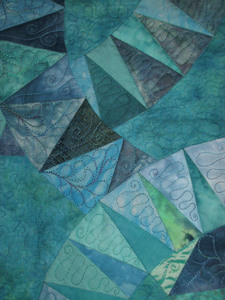 Method: Machine foundation pieced; hand and machine quilting. Copyright © Terry Donaldson 2009. All rights reserved.